Look sooo yumm... n pretty! Lily, what is lye water? I want try to make it this week end, thx.. I've been looking for a recipe for this cake but couldn't find the right texture. your picture looks like the one I want. Can I omit the lye water since it has a pretty serious health concern? Also, could never find dry buttermilk. is there any substitute for it? Lily,.. i have been not well for a couple weeks and what a pleasant surprise to log in and see this recipe. Thank you very much ! so sorry to hear that you have not been well. hope you are ok now. I love your blog. It reminds me so much of home and my grandmther's cooking. Is lye water the same as alkaline water? What is its functions? I heard it may be bad for health - do you have any thoughts about that? i have heard that it is so and i just don't know what to think. The fresh or dried wantan noodles made in US have it and the US govt permits it, then potassium bicarbonate at a moderate amount must be acceptable. Baking soda is supposed to be no good too but it is in cake recipes and then again we don't eat cake every day. so???????? 1) May i know where you buy the dry buttermilk? Is it available to be purchase online? 2) Can you post 1 pic of it? this is the buttermilk i use http://www.sacofoods.com/culteredbuttermilkblend.html. if buttermilk is not available, please read the above comments where i have given a few suggestions. precious week i had been to 5 vietnamese shop and i know they have lye water, but no one understand what i meant. this picture has helphed and.. Sorry..I'm new to this, and I don't know how to replace the dry buttermilk, like how much milk to add. If I want to use fresh soy milk. And if I don't have margarine can I use olive oil instead? wow! 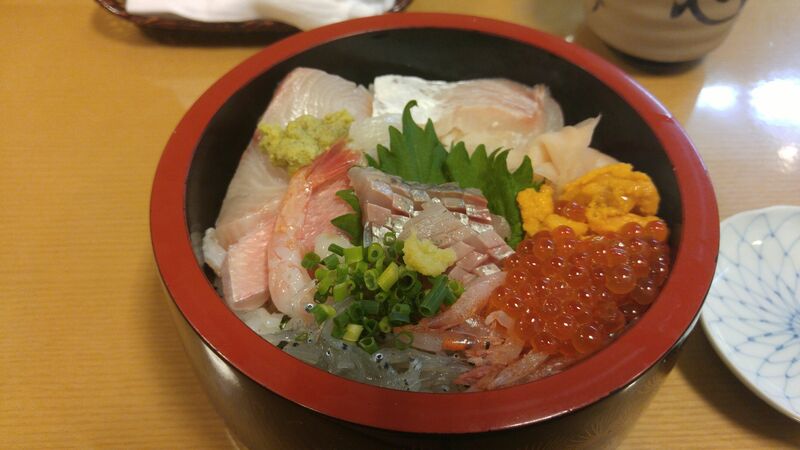 very delicious looking. Unfortunately I don't know where to get potassium carbonate & sodium bi-carbonate solution and dry buttermilk :( in France. no dry buttermilk, just sub granulated sugar with brown sugar and i know there are quite a number of vietnamese stores in paris and they will have potassium carbonate & sodium bicarbarnate solution. What's the purpose of dry buttermilk? Why can we sub with brown sugar? Does brown sugar have the same chemical content in buttermilk? Just curious. Hi Lily, I'm new to this. May I know are you using whisk or jus using spatula to mix well the batter? Tried it this morning but it the texture is totally different. Too densed - maybe I went wrong with the flour? I used lye but I substituted the water with milk & vinegar like you suggested. Will try again another day. Nowadays in Penang, the most popular kind of thinnger, crisper ban chang kuih is to add all sorts of filling like tuna, nutella, sweet corns etc. 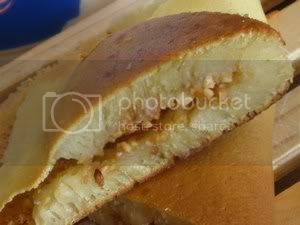 if you want the crispy version - check out apam balik. I am in Canada. If I were in Penang, I wouldn't bother learning to cook all the good food, LOL!! i can tweak a recipe to make the spicy fish paste but i don't think i can get the coconut tree leaves. i tried this recipe out and somehow i didn't manage to have the honeycomb effect. pls advise.. tks!!! i didn't use the "lye water" and sub buttermilk with 25g granulated sugar and 25g brown sugar. if you did not use 'lye water', then you should have added more baking soda. this cake is all about letting the alkali in 'lye water' and baking soda to react with the acidity in buttermilk in your case the brown sugar. I am originally from Penang & moved to Canada since 1988. All your recipes are fantastic. I've tried several recipes & all of them so delicious. Especially comfort food like Bak Jian Kuih. 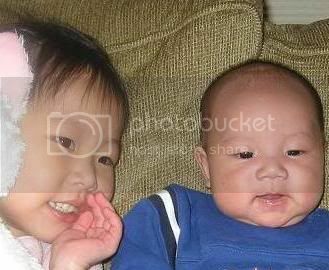 My wife & my kids love it. since my wife don't like cooking, ur recipe definitely help me out big time :). I could not find dry buttermilk & I've replaced with regular buttermilk (20 ml) & used 140 ml water. Turns out really good. I'm new to your blog. Thanks for posting all the wonderful recipies. Ban Jian Kuih is one of the all time fav food that I miss in M'sia. I've tried your recipe several times and it came out well. Shared it with my mom in KL too and she loves it. Thanks again! I tried making your ban jian kuih recipe twice this weekend. 1st time it didn't come out with honeycomb. I let it sit for 2 hours. I thought it was my baking soda as it will expire in 6 months. I went to the store bought new baking soda. Let it rest for 1 hour. Just made it again, same result, no honeycomb. Let me know what I should do, I want to try again. i too experienced no honeycomb using this recipe the last time i made it. i think that i might have use a tinge less of water. if you should try again, use a little more water as flour behaves differently from day to day and seanson to season. I am not very good with measurements, you mentioned reducing water. Should I go from 160 ml to 120ml or 100 ml? How should the consistency be? Thanks again so much for answering my questions. the batter should be runny like a pancake batter but slightly thicker. I can only find liquid buttermilk, can I use that instead of the dry one? sure, sub 160 ml or more if necessary with buttermilk for water. I had make one last week, but unssucessfull. I put 50g of brown sugar instead of dry butter milk and I put little bit of "white lime stone". It became very hard at the bottom and it cracke when i fold it into half and not so much bubbles. Why? Is the stone or :air kapul" same like the "lye water"? it cracked cos you might have cooked it for too long or your batter could be just a shy little bit less of liquid. thanks for the advised will try again bth, is "air kapul" same with the "PCSBS"? I'm a student studying in London and i have found your blog to be most helpful. I have tried a number of your recipes including the one for char siew and kor lun mein, and they have been absolutely great. For this one, i substituted buttermilk with brown sugar as suggested. but the the kuih didn't "puff" up or raise like the ones back home, any ideas why? but the taste is great! though i may suggest cutting back on the caster sugar. 80g is really sweet! with this recipe, a smaller pan does a better job and getting a thicker cake. The batter spreads out and have not enough batter to rise. I was discussing with a friend and she told me that she found that if she does not cover the pan, the batter rises better. I have to make this again and not cover the pan to see if there is any difference. last weekend, i tried this receipe for my ever hungry boys. i almost followed your receipe to the T except for 2 ingredients that i am not so sure,buttermilk and potassium carbonate, i substitutied 1tbsp of alkaline water and 1 tbsp of yogurt. the batter turned out fine and almost pancake like. except there wasn't any honey comb like texture. i will go to the store and buy the missing ingredient and will try the receipe again. thanks for sharing all your yummy receipe. forget about the buttermilk and yogurt. try the latest recipe on ban jian kuih II - my yesterday's posting. I tried this today and it was amazing - just like the ones I used to buy when I lived in PJ. I really appreciate your website as it is keeping Malaysian cooking alive. Come across a receipe, if buttermilk is not available, use equal portion of yoghurt and low fat milk. Why is it different from your version. in this recipe, i figured that the buttermilk will make the baking soda react better. Thank you for posting this recipe! It looks so delicious. I can't wait to try it. What is bicarbonate of soda and where can we find it? Is it in liquid or solid form? Thank you for posting d recipe. 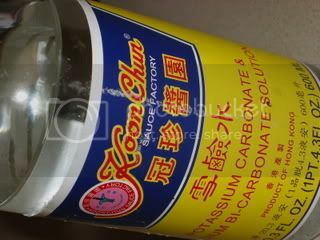 May i know where can i buy the koon chun brand lye water in kl/pj? ?Tks.